Iran and world powers gather in Geneva to resume nuclear talks. Iran and the six world powers of P5+1 (the permanent members of the U.N. Security Council (the United States, Russia, China, France, and Britain plus Germany), meet today, November 20 in Geneva to resume the stalled nuclear talks. Represented by moderate Foreign Minister Mohammad Javad Zarif, the Iranian delegation has demonstrated an unprecedented willingness to constructively take part in these talks in recent months. 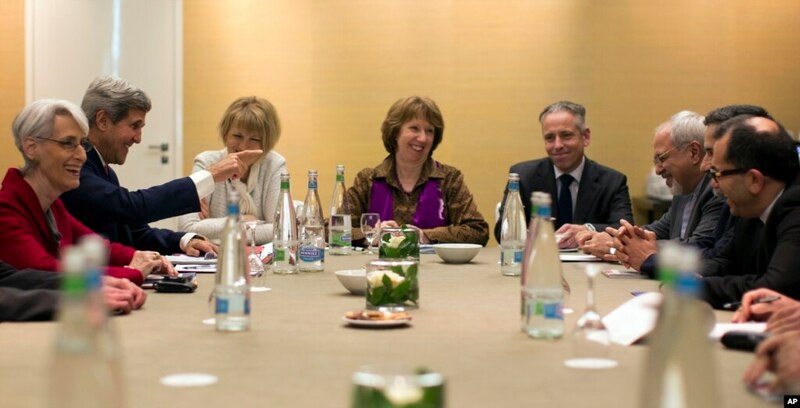 Earlier this month on November 8-9 Iran and the P5+1 convened in Geneva for the second round of nuclear talks. Even though many enthusiasts of Iran-US friendship had hoped that this time around the talks would result in an early agreement, no real deal was sealed. The lack of ultimate consensus was due to the rather unexpected reservations of the French government represented by Laurent Fabius on the real intentions of the Islamic Republic. More specifically, the French insisted that Iran halt the construction of the Arak heavy water reactor during the first phase of the nuclear agreement, as opposed to the last phase. As a result, no agreement was made at the talks that ended on November 9, 2013. However, according to the Iranian, American, and German officials unprecedented progress was made during the same round of negotiations. Preparing for a third meeting in Geneva on November 20 the parties involved will aim to reach an early agreement in the next few days. The friendly gestures and the phone conversation of President Obama and President Rouhani on the sidelines of the United Nations General Assembly (UNGA) in September marked a new beginning for Iran’s diplomacy. Ever since, the international media has engaged in what appears to be an excess of sensationalist coverage of the optimism that has evolved around Iran’s recent foreign policy with the West. Nevertheless, the real question still remains: Will Iran and the world powers reach an initial agreement on the country’s controversial nuclear program this time around? If so, will this agreement prove sustainable or fall through; similar to an agreement that was made on Iran’s nuclear program in 2003 with the leadership of the former reformist President Mohammad Khatami? For an initial agreement to come into existence, two operating pre-conditions remain critical without which the parties involve are unlikely to reach any level of consensus. At this point, it is too late in the game to ask or to even threaten Iran to altogether halt its nuclear program. In essence, diplomacy has failed to convince Iran to stop its nuclear program altogether. Iran has now reached enough capability to have a strong bargaining power to push for continuing its nuclear program, limited to energy and peaceful means. If the world powers cannot reach a consensus on allowing a limited nuclear program, Iran will simply leave the negotiating table. Therefore, if an agreement is reached, the result is already somewhat clear: It will be an agreement for a limited, but ongoing, peaceful nuclear program. The Islamic Republic of Iran is well aware of the political complexities involved in an ultimate removal of economic and financial sanctions imposed against it. Therefore, even if authorities claimed otherwise, Iran does not expect that these sanctions would disappear altogether overnight. Meanwhile, US Secretary of State, John Kerry, on November 14 warned the Congress against passing new sanctions against Iran, fearing that tightened sanctions could prematurely end the current talks with Iran. He stated that ratifying a new round of sanctions will endanger the prospects for a peaceful end to the nuclear standoff with Iran. Whether at the effective request of President Barak Obama or the mere coincidence of the upcoming Thanksgiving recess, it is unlikely that the Senate Banking Committee will vote on a standalone sanctions bill against Iran before December 2013. Therefore, if this remains the case, Iran and P5+1 have an opportunity today (Wednesday Nov. 20) to reach an initial agreement in Geneva. Even if the aforementioned key pre-conditions help get Iran and P5+1 closer to an agreement, other key factors remain difficult to mitigate in the medium and long term. 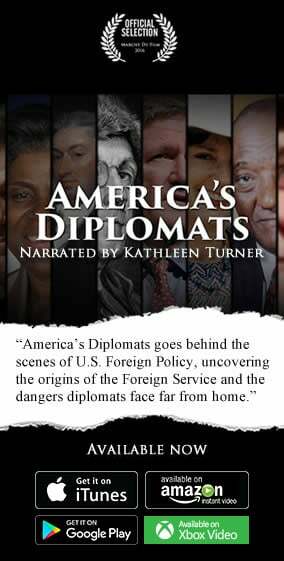 The failure or success of diplomacy depends partially on the quality, credibility, and the tactful flexibility of leading politicians involved. President Obama and President Rouhani both appear committed to the success of the current nuclear negotiations. However, neither of them enjoy political consensus at home. The lack of political consensus in the US and Iran can indeed weaken the possibility and the sustainability of a nuclear agreement. As evident in recent US federal government shutdown and the current political and logistical chaos in the initial weeks of ObamaCare’s launch, Barack Obama is at a domestically difficult point of his presidency. Fiercely opposed by Republicans in the House of Representatives and the Senate, any further request by President Obama to delay the new round of sanctions against Iran and subsequent relaxation and removal of sanctions are destined to face domestic impasse. On the other hand, President Rouhani is in no better domestic situation. Thus far, he enjoys the support of the Supreme Leader, Ayatollah Ali Khameini, in staging “heroic flexibility” to cut a nuclear deal with major world powers. However, the hardliners of the Islamic Republic and the fan club of former President Mahmoud Ahmadinejad express hostility against President Rouhani and his negotiating team led by Foreign Minister Mohammad Javad Zarif. Even before the negotiations reach an agreement, Foreign Minister Zarif and his team have been under notable political pressure in Iran. In fact, in an interview conducted on the sidelines of the Geneva talks on November 9, Mr. Zarif stated, “I tolerated domestic pressures so that negotiations would succeed”. But, even if the negotiations succeed, they will succeed in the name of the moderate Iranian politicians, triggering further anger and animosity in hardliner political camps. If the Supreme Leader continues to side with President Rouhani, an agreement over Iran’s nuclear deal may reach a more substantial and sustainable phase. If the Supreme Leader takes back his call for “heroic flexibility” to side with the hardliners, the nuclear agreement and the prospects of an eventual friendship with the US will again unravel. Even though Iran and the US appear the key stakeholders at the negotiating table, other critical players are also present at the table, whose votes can make or break a deal at the talks. With the US determined to at least reach an initial agreement with Iran, Israel has made its indirect presence at the table felt via France. Israel is not the only major stakeholder whose voice is critical in these talks. France is now considered a voice that represents the determination of Israel, Saudi Arabia and the Persian Gulf States. Saudi Arabia and the Arab states of the Persian Gulf consider Iran, its potential to rise as a regional hegemon, and its nuclear program a big threat to their national interests, compromising with whom may simply lead to the decline of their influence in the turbulent Middle East-North Africa (MENA) region. Ironically, the threat of Iran is perhaps one of the few regional realities that is drawing Israel and the Arab world closer together. Therefore, even if all other factors are favorably in place, the opposing regional powers’ determination to derail the negotiations will find its way into the negotiating room and beyond, whether vis-à-vis France, the US, or other world power representatives. Therefore, as Iran and the world powers resume nuclear talks in Geneva on November 20, 2013, it is important not to lose sight of the realities that come along with the sense of optimism that has evolved in recent months. There are enough reasons to remain optimistic, but calculatedly and cautiously so. While there remain unprecedented prospects in reaching a nuclear agreement with Iran, it would be a historic mistake to lose sight of the existing challenges on the way.